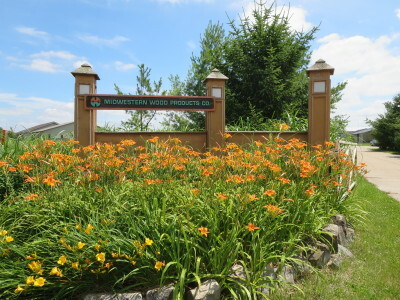 Midwestern Wood Products Company was founded by Jerry Young and his wife JoAnna in 1968. Jerry had been a sales representative for mouldings and other building materials when he decided to get into manufacturing as a means to control both product quality and availability. Fifty years later, Midwestern Wood Products Co. remains a family-owned business that designs and manufactures a wide array of high quality interior millwork, utilizing mainly American hardwoods. The factory is still located in Morton Illinois. Always an innovator, Jerry is responsible for many one-of-a-kind creations used in projects throughout the country. One example is his patented WOODGRID® Coffered Ceiling System, which is manufactured exclusively by Midwestern Wood Products and has been featured in numerous magazines and twice on HOMETIME ®. Jerry offers a vast knowledge of the woodworking industry and today focuses primarily on commercial and high-end residential interior design. Jerry’s daughter Carrie and her husband Mark Schmidt joined the company in 1985. Carrie has a business degree from the University of Illinois at Champaign/Urbana and specializes in marketing. She is in charge of all nationwide WOODGRID Ceiling sales. Mark is also a graduate of the U of I. He has a degree in accounting and previously worked as a CPA with Big 8 accounting firm Deloitte Haskins and Sells in downtown Chicago. He is the controller for Midwestern Wood Products. Jerry’s son Clint Young, who has his own business, provides engineering and technical support and manufactures intricate steel and carbide tooling for projects requiring great precision. In the late evening of May 10, 2003, an F3 tornado touched down in central Illinois and left a trail of destruction for 28 miles. Midwestern Wood Products Co. was directly in its path. Although the tornado was on the property for only 2.5 seconds, it destroyed all 3 buildings (photo below was taken 2 days after the tornado). Amazingly, no one was killed by this tornado, although it took out businesses, apartments and many homes. Friends, relatives and even local customers turned out to help Midwestern Wood Products with the cleanup, which was a massive undertaking. The American Red Cross graciously provided meals for all the workers for three weeks. Eventually, a new facility was built and outfitted with state-of-the-art equipment. It has been a long recovery from this natural disaster. The Young family is very grateful for all the help and moral support they received. F3 tornado destroys Midwestern Wood Products Co.